Unless your commercial or industrial roof is brand new, no matter its size, material or shape, there is a good chance that you may require roof repairs in the near future. This is because roofs not only take the full brunt of weather on a daily basis, but also can be damaged by a range of other things such as maintenance contractors and workmen doing general work on the building. Let’s look at some of the most common problems that commercial or industrial roofs can have, from the removal of asbestos roofing to poor or shoddy repairs. No one wants to imagine that their workplace may be affected by asbestos, but if the building was built between the 1940’s and the 1980’s there is a very good chance that it contains asbestos sheeting. Obviously asbestos is one of the most dangerous materials to work with and be in contact with, and there are a number of mandatory health and safety regulations that govern its removal and clean up. 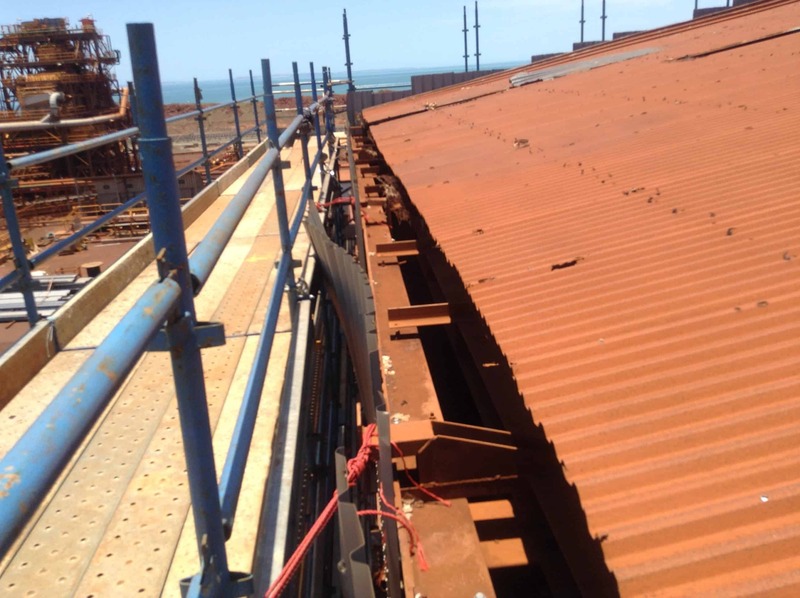 It is critical to find a company such as PRC Building Services that has the experience, the skills and the organisational capabilities to ensure any the removal of asbestos roofing is done professionally and as safely as possible. Especially in older buildings, a leaky roof can be a sign of serious structural issues within locations such as the ceiling, the roof wall flashings or the eaves. Generally small leaks can be quickly repaired if caught in time. However a leak can also be an indication that it may be time for a new roof, particularly if your roof was built over 30 or 40 years ago. It is recommended that commercial, industrial and even residential roofs will need to be replaced within this time-frame as materials undergo natural deterioration and weathering over time. If you are experiencing a leaky roof then it is important to contact a professional Perth-based commercial roofing company to inspect and diagnose the problem as soon as possible. What’s one of the main reasons for a damaged or leaky roof? Surprisingly, it turns out that roofing companies such as PRC Building Services are called out to fix commercial or industrial roofs because of poor workmanship, cheap or inferior repairs in the past. It’s always tempting to take the cheaper or even quicker option when looking at getting repairs done, especially if you’re under time or budget pressures. However the problem with roofs is that unless the problem is correctly diagnosed and dealt with the first time, it is likely to develop into a serious issue in the future, which may even require a full replacement of the roof. If you are experiencing a problem with the roof in your workplace, get licenced professionals to inspect and diagnose the issue – you might just be surprised how cost effective and efficient it can be! So if you think you may need services such as the removal of asbestos roofing, leak repairs or even a total roof removal and replacement, contact PRC Building Services today.